There are problems in Kansas. And why should you care? Well, these problems demonstrate the importance of youth voice, the power of an informed constituency, and the crucial role of state governments. When Governor Sam Brownback was first elected as Kansas Governor in 2011, he promised tax cuts. These tax cuts, he argued, would stimulate the economy and create new jobs. However, lower tax rates, in this situation, led to less government revenue. And Governor Brownback needed to cut government spending (by about $200 million) to balance Kansas’ budget. Among other programs, Governor Brownback decided to cut education spending. In 2014, these cuts led to a shorter school year. And this year, he’s proposing further budget cuts, which are even less popular. More recently, Governor Brownback advocated for HB2504, a bill that proposed consolidating school districts. This means that rural school districts would combine, which would reduce administrative spending. But this approach has serious problems, as one Kansas student points out. “If this bill became law….students would have to commute ridiculous distances for education. Also, I personally don’t know how most of the small rural Kansas towns which still have schools could survive without one…many tiny towns which lost their schools also lost their populations,” said Jared Long, a high school student from Beloit, Kan.
Long decided to fight against this bill. “To lobby against this bill, I shared information about the bill with my friends and urged them to contact Kansas legislators. I also submitted written testimony to the House Education Committee. Luckily, the chairman of that committee said he didn’t have plans to move forward with the legislation after its hearing. There was a huge outcry of opposition, and I believe that is why this bill is dead. 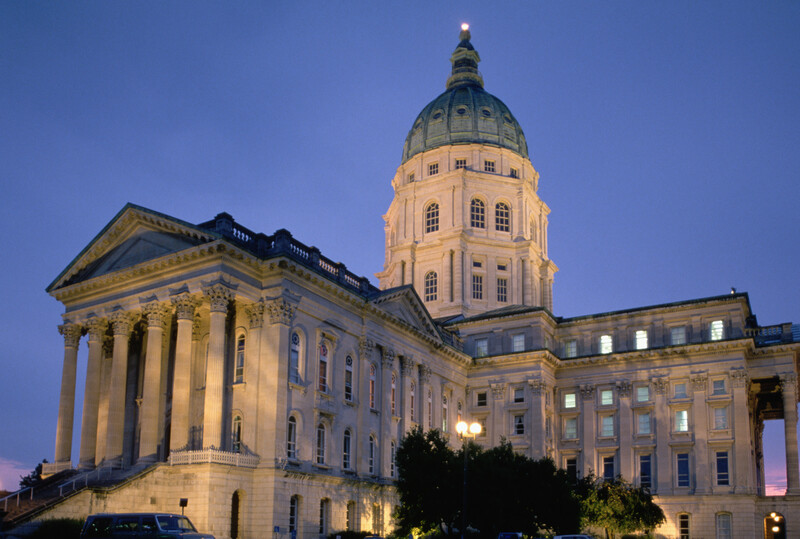 Informed Kansans blocked this forced-consolidation bill,” he said. Though both Governor Brownback and Long are Republicans, this is clearly an issue they disagree on. If you’re interested in fighting for Kansas education, follow Game On for Kansas Schools (@GameOnKansas on Twitter), which provides updates on these education issues. Not a brownstain fan. But consolidating districts is a good move. The contents of the bill aren’t actually read, just speculated. I used to live in rural Kansas and the towns are shrinking as is. Groundwater is drying up. We have districts with graduating classes of 17 that have a 6 digit salary superintendent. The bill does not call for closing buildings. Each school building is kept in tact. District offices are going to be closed. So a county with 7000 people in it will have all the same schools just one administrator and school board. Thus cutting significant redundant costs in management without really hurting the kids. The bill doesn’t necessarily close rural school. It consolidates some school districts, both rural and suburban. There is no reason why a district with 400 total students needs all the layers of administration. They could and should combine it with another small district in a neighboring county. Also, Johnson County, Kansas, has six different school districts. Surely they could do with five, or maybe even four or three. Just because schools have always been run one way doesn’t mean everything has to stay that way forever.